Welcome! 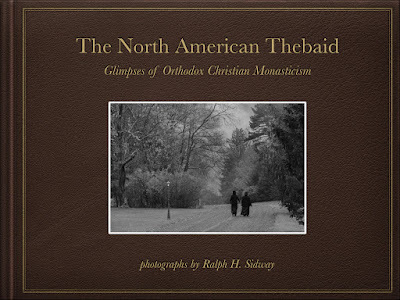 Here's how to Pre-Order the North American Thebaid Book! 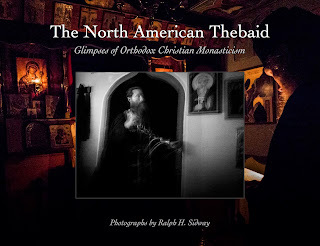 This large-format, fine-art "coffee table" book represents the culmination of a unique multi-year project, which has combined crowdfunding, social media, and an unprecedented photographic pilgrimage to over thirty Orthodox monasteries across the American continent, to help raise awareness of and interest in the Orthodox Church and its ancient monastic traditions, and thus contribute to the "churching" of America. Large-format (13" x 11"), hardbound, cloth-cover, with deluxe, scuff-resistant, French-fold dust jacket; heavyweight matte, acid-free/lig-free fine art paper, 157gsm/120#; Approximately 80-100 images, black & white and color, approximately 100-130 pages (TBD); Features introductory articles on monasticism, plus preface and epilogue by the photographer. Sample Cover Design shown; actual cover may vary. Fine Art Print: an image selected by the photographer, 8"x10" archival print, in 11"x14" museum mat, signed on the mat by the photographer. Limited time offer — only available for orders placed prior to book print deadline (TBA). Fine-art prints not available separately. We've had some people pre-order the book but ask to place a regular donation in addition to help us. 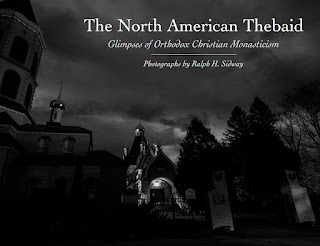 The North American Thebaid is a registered 501(c)(3) Non-Profit Association, established with the Blessing of His Grace, the Right Rev. 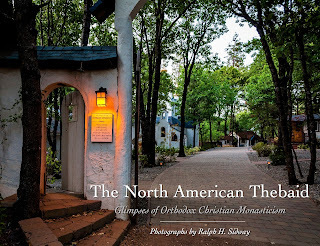 +Paul, Bishop of Chicago and the Midwest, Orthodox Church in America. All donations are tax deductible. Donations are processed by PayPal.